Out tennis legend Billie Jean King, transgender rights activist Tyler Ford, HIV/AIDS activist Kenita Placide and LGBT legal group Lambda Legal will serve as grand marshals of New York City Pride, Heritage Pride, the group organizing the city's 49th annual LGBT Pride parade, announced on Wednesday. "This year's selection of Grand Marshals, bring forth the very essence of what it means to be 'Defiantly Different' in social and political unrest," said NYC Pride March Director Julian Sanjivan. "King, Lambda Legal, Ford, and Placide are defiantly brave, defiantly unique, and defiantly a share of our wondrous LGBTQ+ community." 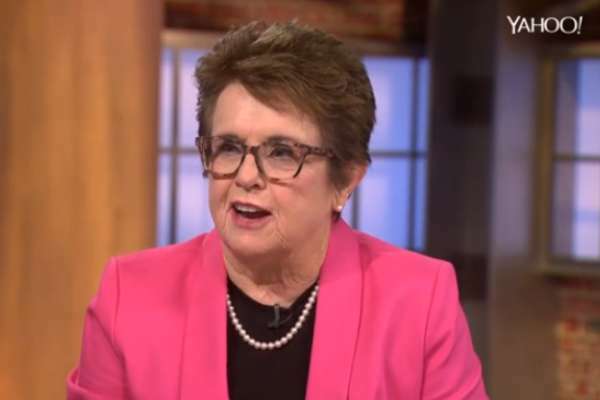 Billie Jean King, 74, is a former World No. 1 professional tennis player. King has residences in New York City and Chicago. She has been with her partner Ilana Kloss since the late 80s and is a vocal advocate for LGBT rights. Tyler Ford is a writer and social media influencer who advocates for the rights of transgender and non-binary people. Ford transitioned to male in college but now identifies as agender. Ford is also the associate editor at Condé Nast's LGBT community platform them. Kenita Placide is a human rights, HIV and LGBT rights activist from the Caribbean nation of St. Lucia. She is the executive director of the Eastern Caribbean Alliance for Diversity and Equality (ECADE). America's largest LGBT Pride parade steps off at noon on Sunday, June 24.